The OpenStack service market is projected to grow from USD 1.63 billion in 2017 to USD 5.66 billion by 2022, at a CAGR of 28.3% during the forecast period. Factors such as fast & easy deployment, no compulsion of vendor lock-in, and wide community support are driving the growth of the OpenStack service market. However, the concern related to security is a key factor restraining the growth of the market. The anticipated increase in the number of OpenStack service providers and the high adoption rate in the telecom vertical are some of the opportunities covered in this market report. The OpenStack service market is segmented based on component into solution and service. Between them, the solution segment is estimated to account for the larger share of the market in 2017. The deployment of OpenStack solutions is growing as they provide the cloud experience at lower cost and are featured with a single point of management across the compute environment. Based on vertical, the IT segment is estimated to lead the OpenStack service market in 2017. This is because IT giants, such as Dell EMC, Red Hat, Rackspace, HPE, and IBM, among others, have transformed their storage services with a powerful and flexible OpenStack management layer. This OpenStack management layer helps to monitor and manage cloud resources and transactions. It also provides highly scalable storage as a service offering, besides offering cloud services to several companies that are developing the OpenStack software. The IT segment is, therefore, estimated to dominate the OpenStack service market by vertical. The OpenStack service services market has been studied for North America, Europe, Asia Pacific (APAC), the Middle East & Africa, and Latin America. OpenStack services are being extensively adopted in Europe, as enterprises in this region have strong technical expertise with big IT budgets. Organizations in this region adopt OpenStack services to help cloud users to create and manage large networks of cloud servers within an enterprise-class infrastructure. In-depth interviews were conducted with chief executive officers, marketing directors, innovation and technology directors, and executives from various key organizations operating in the OpenStack service marketplace. The OpenStack service market has been segmented on the basis of component, organization size, vertical, and region. Based on component, the OpenStack service services market has been segmented into solution and service. Based on organization size, the market has been segmented into large enterprises and small & medium enterprises. Based on vertical, the market has been segmented into government & defense, IT, telecommunication, academic & research, BFSI, retail & e-commerce, manufacturing, and others (consulting, real estate, web hosting, media & entertainment, and advertisement). The OpenStack service market has been studied for North America, Europe, APAC, the Middle East & Africa, and Latin America. The report will help market leaders/new entrants in this market by providing them the closest approximations of revenues of the OpenStack service market and its subsegments. This report will also help stakeholders better understand the competitor landscape, gain more insights to better position their businesses, and implement suitable go-to-market strategies. 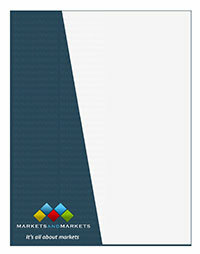 The report will help stakeholders understand the pulse of the market and provide them with information on key market drivers, restraints, challenges, and opportunities.